Even the most sophisticated data collection system has a limited value for the enterprise if it is unable to understand meaning and context of the data it is retrieving. Contextual analysis software from Expert System reveals the information and insight that is hidden in unstructured information. Cogito is Expert System’s cognitive software that processes unstructured content, understanding it in the same way that people do. It provides deep comprehension of information acquired from multiple sources with a semantic focus that interprets each word based on the context in which it appears. Cogito is based on the Cogito Knowledge Graph, a representation of knowledge where concepts are connected to one other by semantic relationships. Cogito’s knowledge graph employs millions of word definitions, concepts and uncountable relations between concepts that allows Cogito to understand content as a person would when they read a text, at the scale and speed required by of today’s technology. 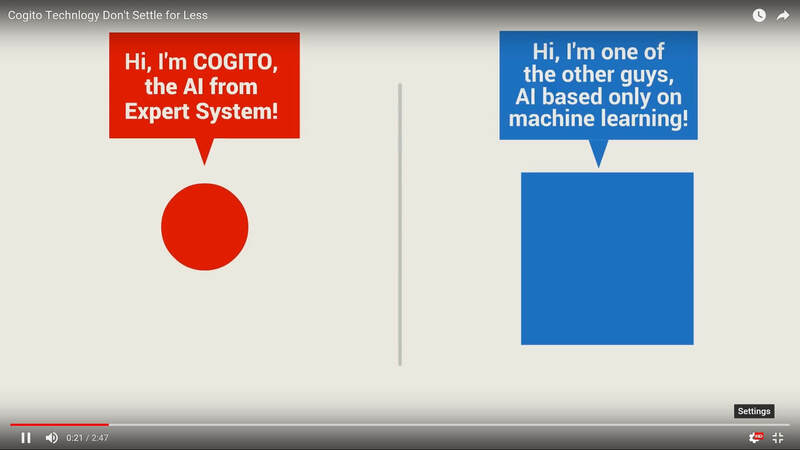 In the same way that human knowledge can be improved by learning new things, Cogito’s knowledge may also be expanded through the acquisition of new knowledge from subject matter experts via tools like Cogito Studio or through machine learning, an approach based on Artificial Intelligence algorithms that also incorporates domain-specific information.